Considering to hire a social media app development company to assist with your app concept? You have got the right place! We design, prototype, build, test and launch social media apps for startups, SMBs, and nonprofits. Though social media is a fascinating world overwhelmed with unprecedented opportunities. Coming of age, it has evolved, is evolving and will continue to evolve to serve consumers, businesses, nonprofits, and communities better. Though there are hundreds and thousands of social media apps on the app stores when it comes to listing, we hardly go beyond Facebook, Google Plus, WhatsApp, Snapchat and apps with similar name and fame. Today, we will discuss what you need to do to make sure that your app doesn’t get lost in the crowd. The spirit of giving is the basic principle that guides every successful social media app. So, your social media concept must address real problems of the society. Facebook is an inspiring social media application. It helps people in many ways - it brings smiles on faces by connecting them with their close ones, it suggests them to make new connections, and seek help from like-minded people and share happiness. Businesses can market their products/services, and nonprofits can raise awareness and seek support from volunteers and do fundraising. All, if not all at least many of the attributes that are required in building and nurturing a healthy society are present with Facebook. So what’s your concept? Is it touching the real issue? If you answered- yes, you may reach out to us. We are a social media app development company based in London, UK, along with an offshore software development centre in New Delhi, India. If the idea misses the social issues, then probably you need to rethink the way big guns in the social media apps industry are doing. The social media landscape is overwhelmed with inspiring social media applications. However, once they all were a concept on white paper and coded from scratch. So, we are here to shape your idea and take it from paper to the app store to the users’ devices and then to their mind and heart. From Mark Zuckerberg of Facebook with the net worth $71.5 billion to Larry Page of Google, $44.7 billion, to Jan Koum of WhatsApp, $9.7 billion, to Evan Spiegel of Snapchat with $3.4 billion, the figures are fascinating. Irrespective of what you do, you need to money to survive and thrive in the mortal and materialistic world. We make your social media app a stream of income. Understanding the demographics, requirements, interests, and challenges of your target audience, we present viable solutions to them, thereby, helping you make money from the service. UI-UX design, app development, and testing teams work for the hand in gloves at Root Info Solutions to ensure the flawless working of the business feature. We customize the marketing and advertising feature in your app to make it appt for the businesses who would be interested in reaching out to your audience to achieve their goals. Social media is a powerful tool for social engineering and development. We can help your charity to harness the social media platform to reach out to your target audiences - beneficiaries, volunteers, donors, regulators and other nonprofits. Stepping into your shoes, we customize your social media app as per the causes or social issues you address. We make fundraising a lot easier by integrating your app with payment gateway service or app that is already familiar to your target audience. We all are interested in checking how many likes or comments we get in our post. Your audience is no different. They too would like to see how their audience is engaging with their app and what they are reciprocating to their communication. Keeping this in mind, we do create social media management software that can help them with actionable insights. We make intelligent software that can segregate structured and unstructured content and derive context that matters. Thus, we help you listen to the noise so that you can better strategize your social media marketing strategy and enhance ROI. 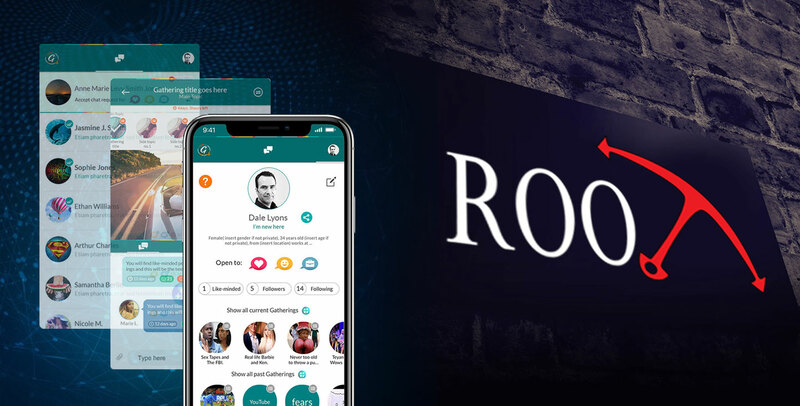 Root Info Solutions is armed with a team of experienced IT professionals who can build social media apps for Android and iOS platform. Based on the social media app development project requirements, we can craft the app using native or cross-platform app development resources.